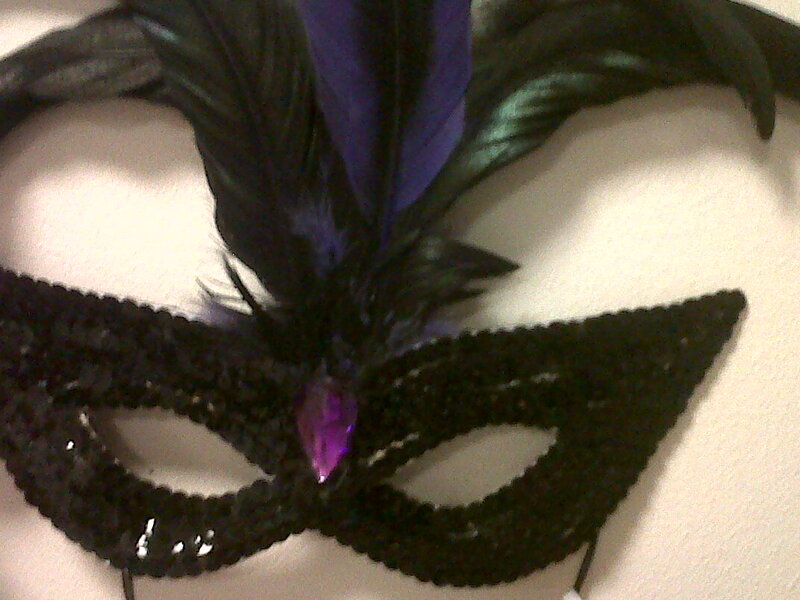 Tomorrow evening I am going to a masquerade ball. I’ve never been to one before, but when my friend asked I jumped at the chance. We both agreed it was very Gossip Girl season one. I settled on a sparkly number with a not so subtle purple gem and flirty black and purple feathers. I was, as usual, easily persuaded by stylish shop assistants. I’m excited by the concept of having my face covered… should I bother wearing makeup? Heaven forbid, heading to a ball make up free! We are so used to masking ourselves, whether it be make up or a false smile, that to actually break free would be unheard of. Eeyore may have been a firm favourite amongst fans of Winnie the Pooh, but in the real world he would have to settle on a steady level between Tigger and Pooh. We all wear different masks. Saying that, I suppose ‘a mask’ could be confused with ‘good social skills’, we adapt to different surroundings as we see fit. People wear masks to be socially accepted, to gain or secure friendships. Lots of people go to great lengths to secure social acceptance for various reasons, damaging other people’s psyche, hearts, emotions and lives in the process, not caring whose ox is gored, swapping their “Jack-the-lad” mask, for giant blood-sucking “Dracula” masks. Some people use Facebook as a mask, a platform for a ‘fake’ life they wish to portray. I look forward to wearing my mask tomorrow night purely because it’s fun and I love fancy dress. Andy Warhol: Just be yourself. Edie Sedgwick: But which one? ← Take Thee to the Scottish Mountain!